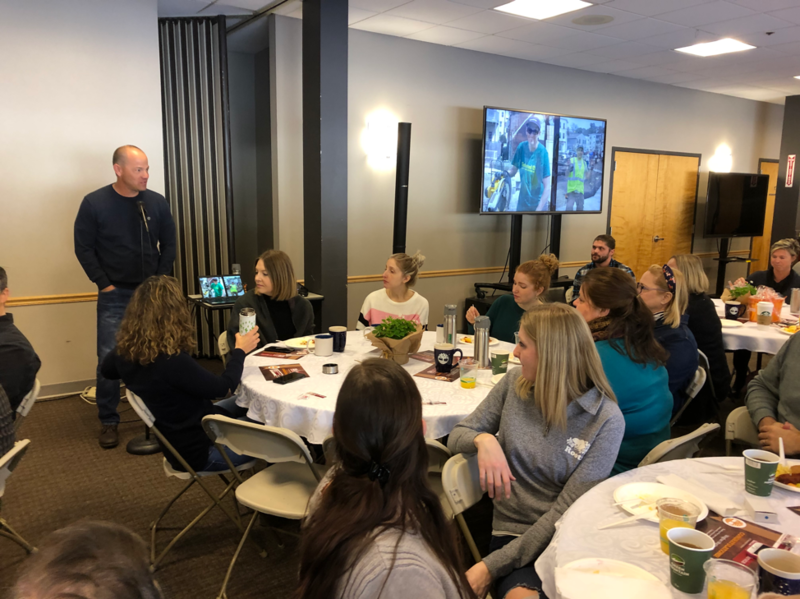 Timberland’s global brand president, Jim Pisani, addresses Timberland service champions at the company’s annual 40s Club breakfast celebration. Nine senior leaders, including Pisani, earned membership in the 2018 40s Club by using all of their available 40 paid service hours to volunteer in the community. Timberland’s Jason Blades and Jill Holt plan events to engage the company’s employees in community service. They show off their 40s club certificates they received for serving all of their available service hours. 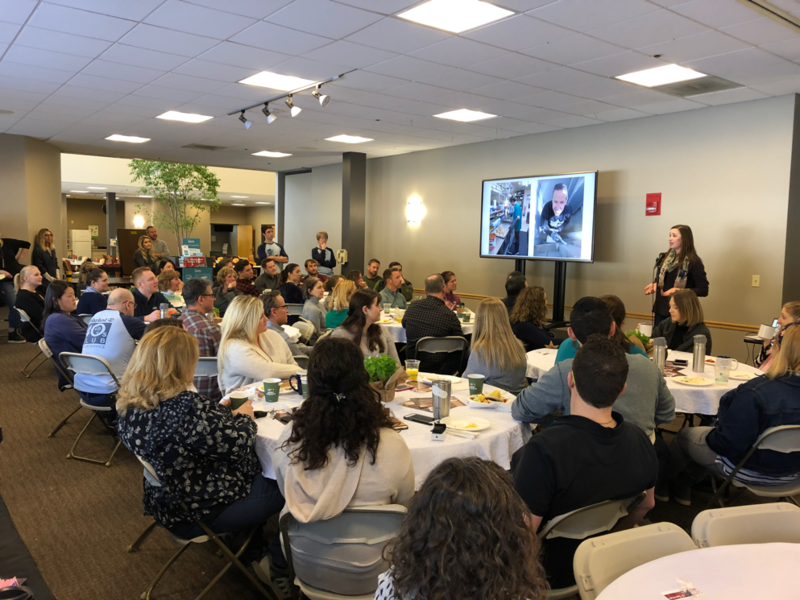 128 employees of Timberland’s global headquarters in Stratham, NH attended the recent 40s Club breakfast to celebrate their commitment to service. 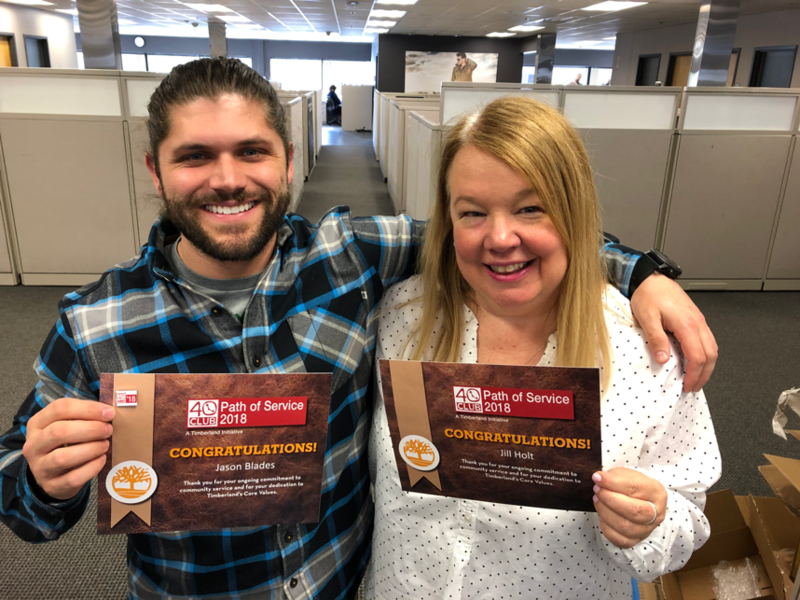 40s Club members serve all of their available service hours offered through the company’s Path of Service™ employee volunteer program. 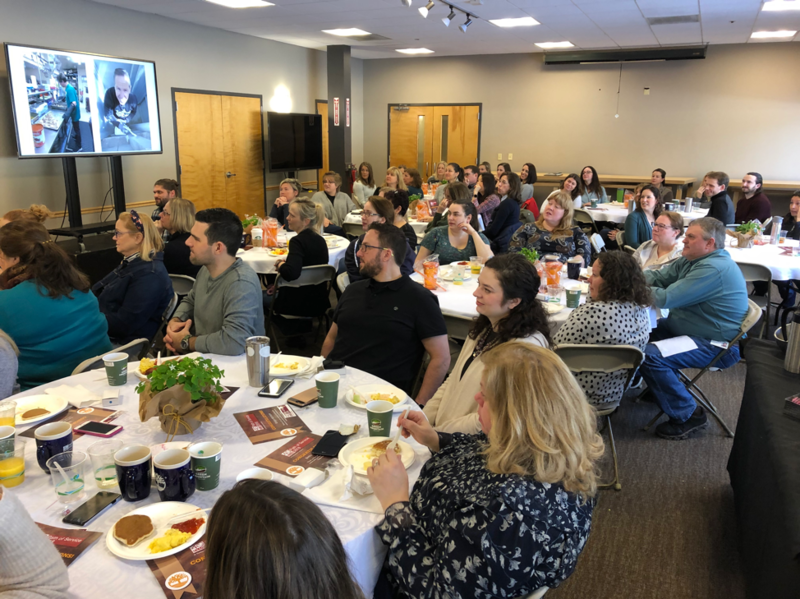 Cyrena Shiland, an experienced Timberland service leader, shares her service experience with members of Timberland’s 40s Club at their recent celebration breakfast to recognize employees who served all 40 of their available paid volunteer hours in 2018.